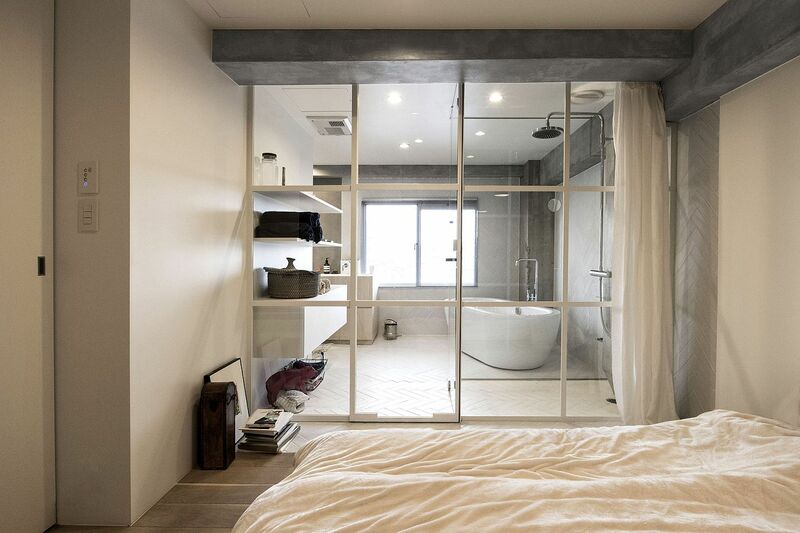 Ever thought about replacing the traditional or French doors in your home with a revolving door? 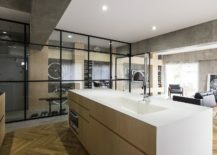 The idea might sound a touch odd for those unwilling to experiment. 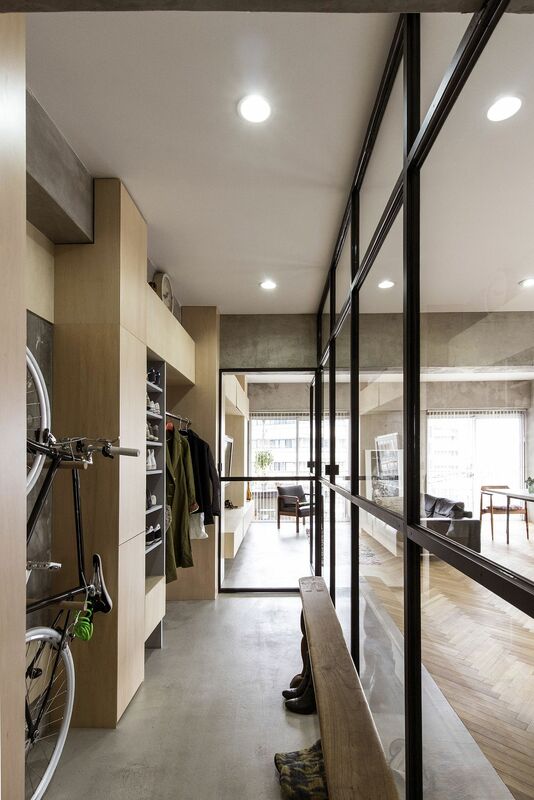 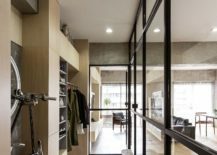 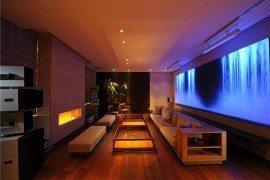 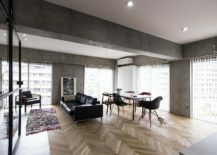 But, this revamped condominium in the city of Tokyo gets an entirely new look thanks to the revolving glass door used by in its makeover is much more than just an aesthetic addition. 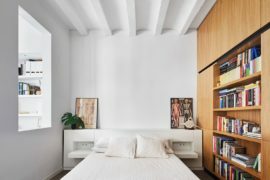 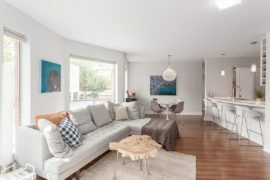 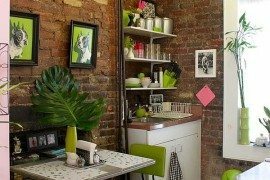 The condo was originally built in the 70’s, but was recently renovated to fit in with more modern lifestyle of the homeowners. 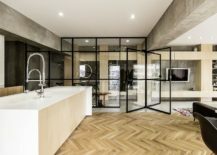 The glass screens and doors inside the house delineate space inside the 75-square-meter home even while allowing for unhindered passage of light. 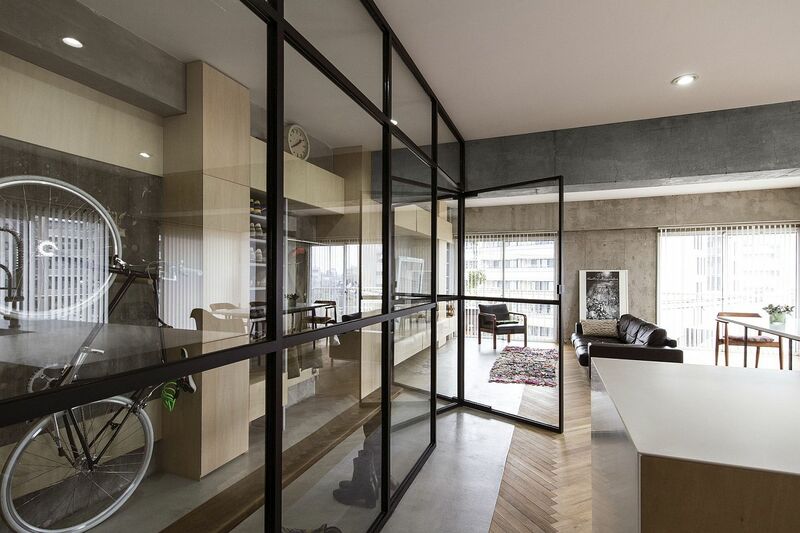 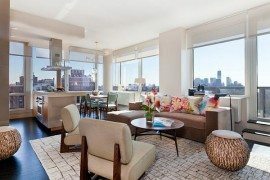 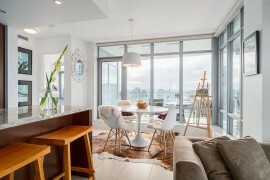 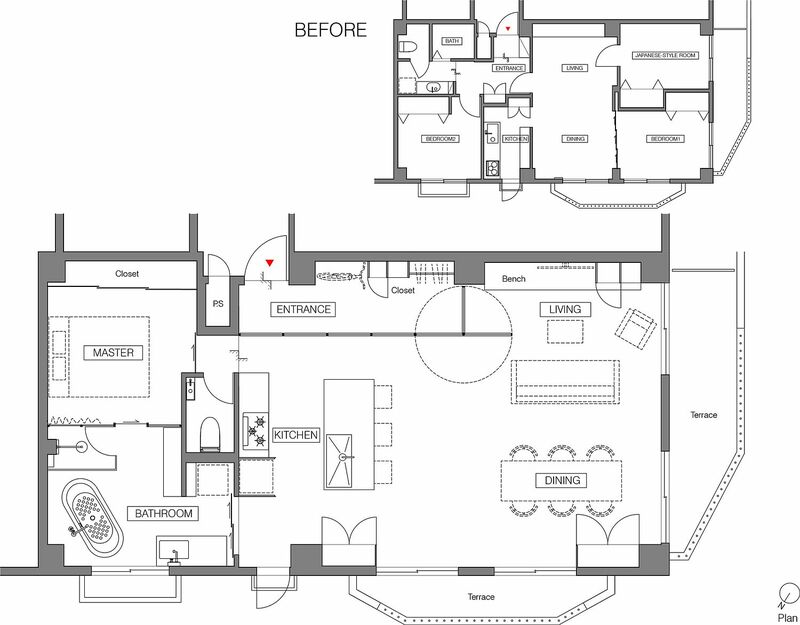 The Syncopated, Revolving Door Condo is a place where multitude of contrasting textures come together with ease. 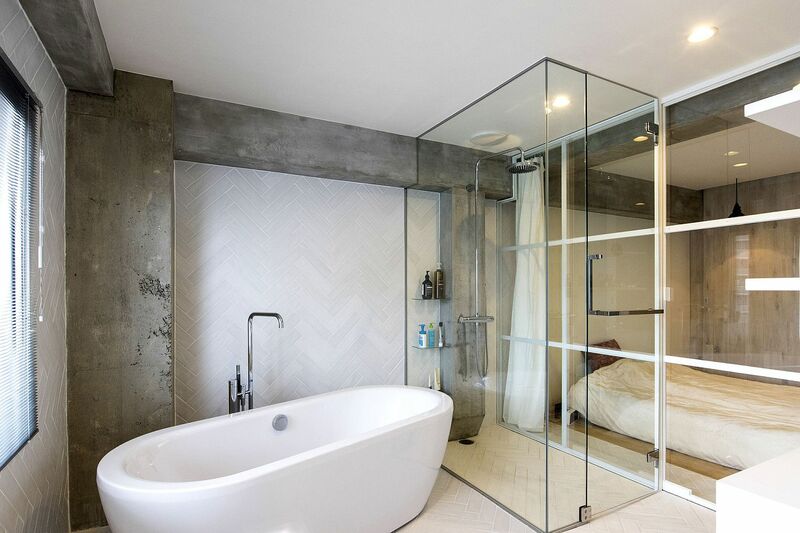 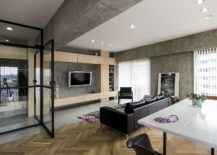 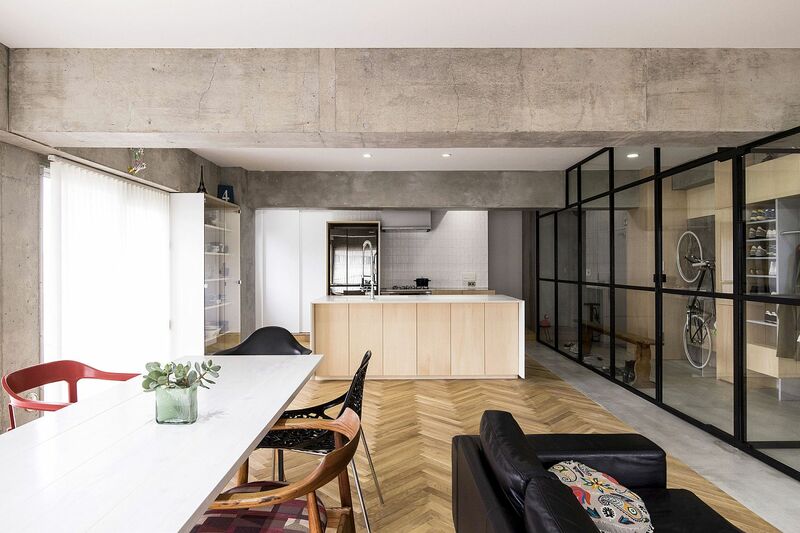 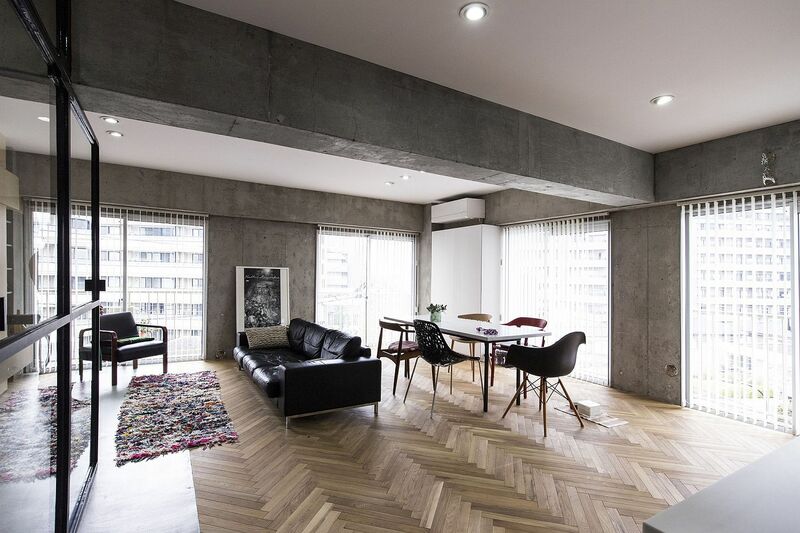 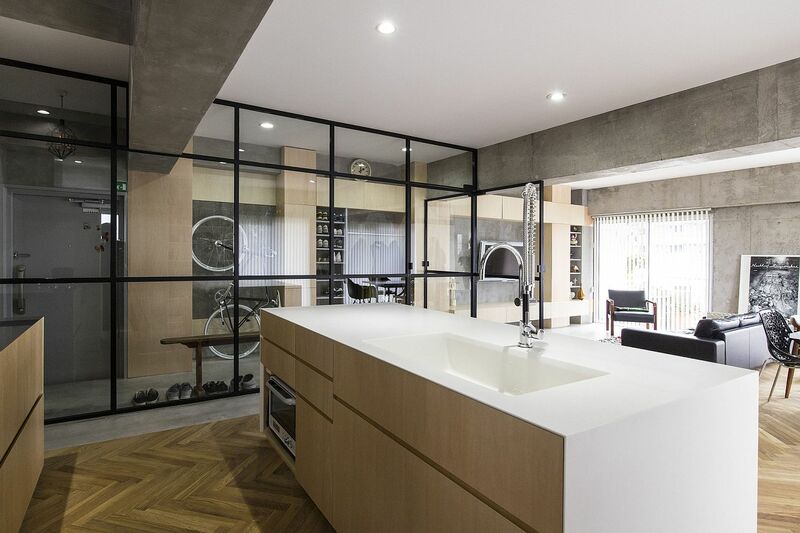 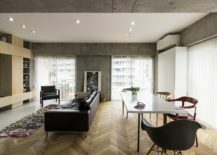 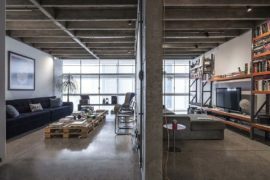 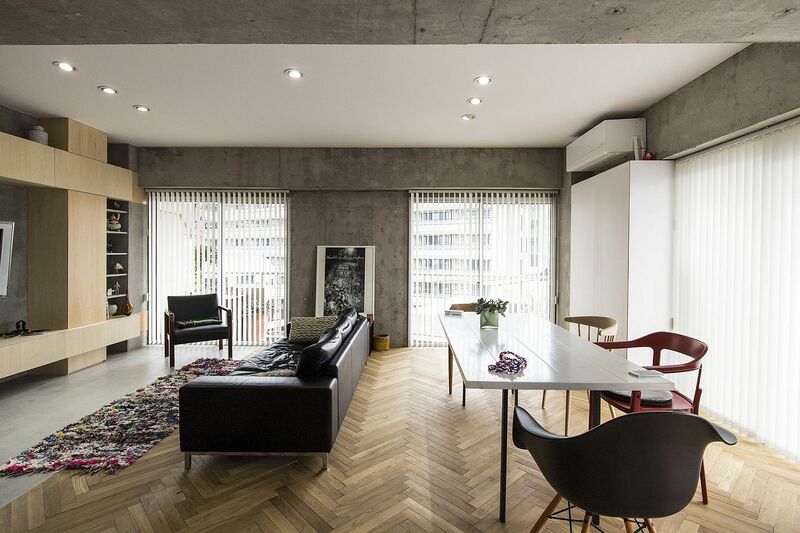 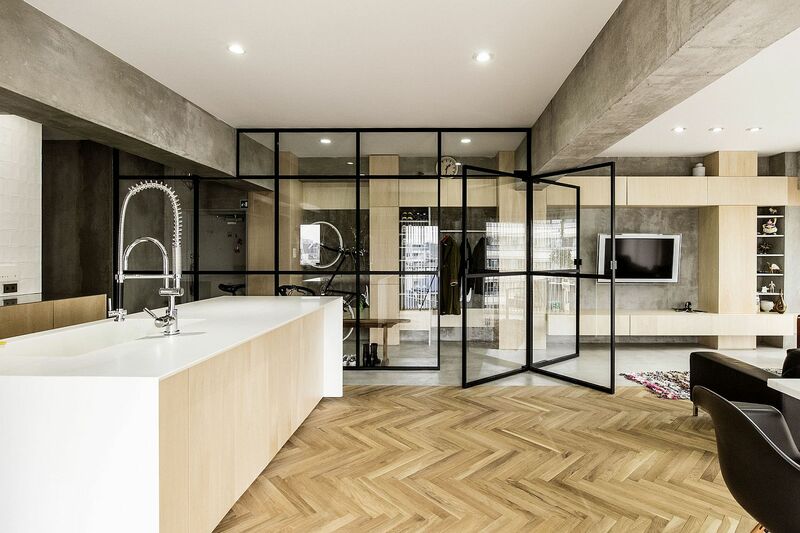 Herringbone pattern flooring, exposed concrete walls, glass partitions and bespoke wooden modular units sit next to one another inside this beautiful condo. 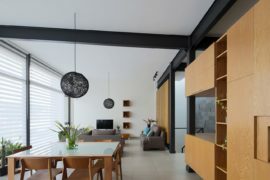 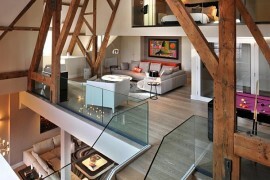 The open living, kitchen and dining is bathed with plenty of sunlight while the bedroom next to it is separated from the bathroom using another ingenious glass divider. 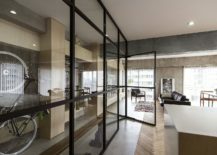 The revolving door at different angles creates different visual and ergonomic compositions, allowing the room to multi-task without ever moving any décor inside it.